Installing a fire pit burner using natural gas is project usually left for the professionals. While natural gas is ideal for fire pits, you may want to consult a professional to do the installation. 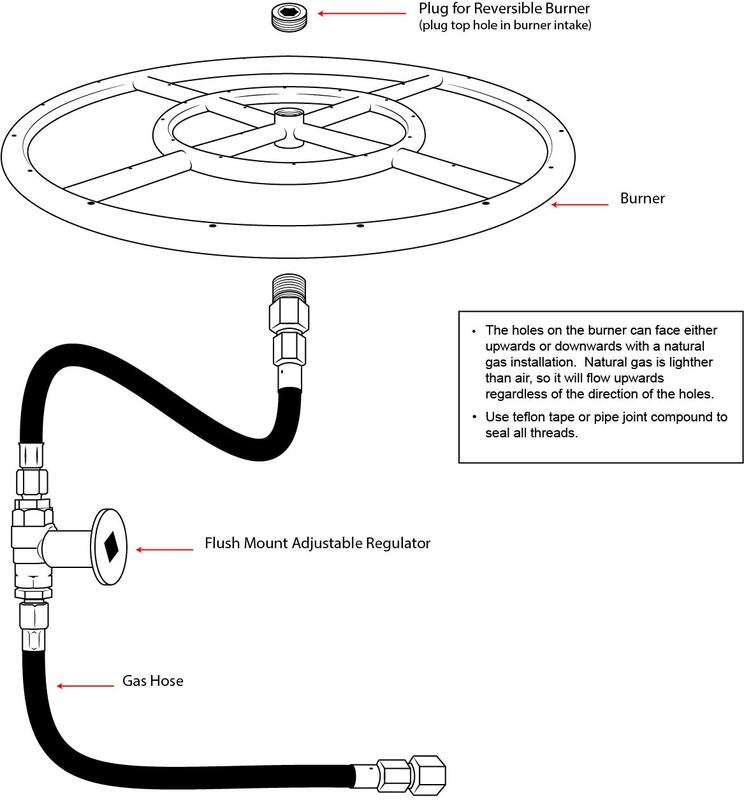 For the DIY’ers, installation of the burner requires very few parts and can be accomplished quite easily. 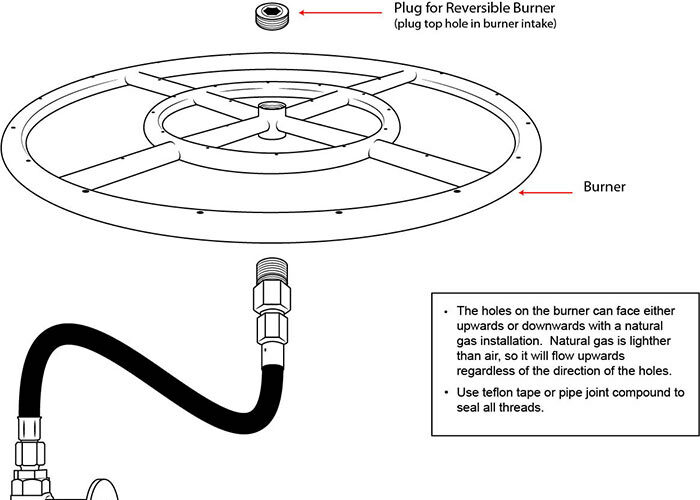 The image below shows the typical configuration and components of a natural gas installation of our fire pit burners.